I’m a nerd. A dork. Whatever. I won’t try to hide it. I like to play games. And when I say games, I mean that in the literal sense – I like to play games on my computer and my smartphone sometimes. Well I haven’t played any games on my computer in a long time – very long, in fact. But I used to do it a lot, it’s fun and it was my form of escape and relaxation. Now that we have iPads (full of games, I love my big screen!) and the new Verizon Android from VZWVoices, I surely had to download some games to keep me busy when boredom came on and I was not in the mood to be productive (as rare of that is). Here I’m going to share with you my four favorite games of the moment. I wonder if you’ve played these before too? 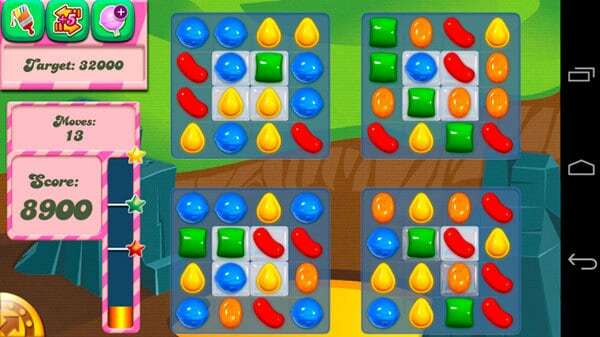 Candy Crush Saga will be the death of me. I have been stuck on Level 33 for like a week now! Ugh! Haha, okay… So I was NOT going to get on the Candy Crush bandwagon. I saw so many of my friends sending messages to others and talking about it on Facebook and I said to myself “no way, that game looks stupid, I’m not gonna follow the crowd!” but then I was bored one evening and I ended up downloading it. The rest is history… addicted! I usually play this game on my iPad because the screen is bigger. 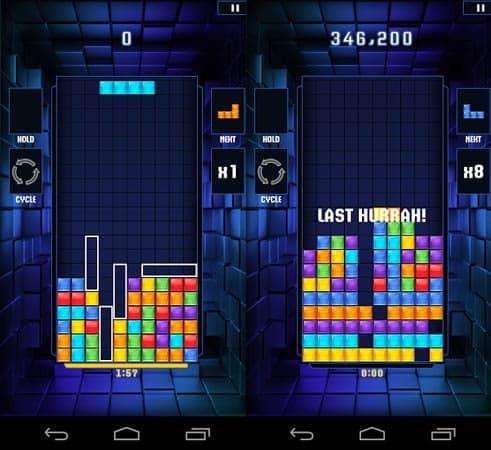 This game is super easy, who doesn’t love Tetris? Tetris Blitz is not the Tetris as you know it, except for the rules of the game of course – but Blitz version is basically getting as many points as you possibly can in a 2 minute time frame. It’s entertaining and addicting although it’s also easy to get bored of. This one is called Bubble Totem. I only downloaded this the other day but I really like it so far, it’s easy and everyone know the sort of game it is – matching the same colored bubbles with the one you’re shooting out. 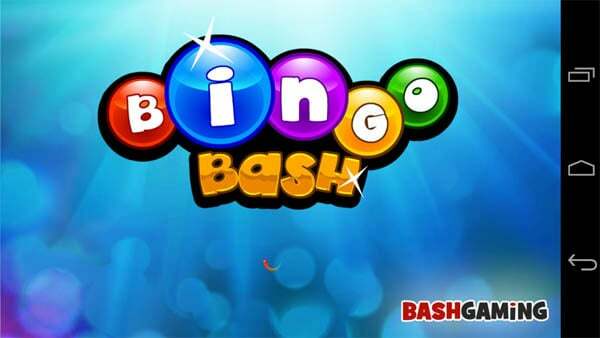 The last game is Bingo Bash. NOW THAT’S a game I’m addicted to! This one is actually even more addicting for me than Candy Crush Saga. I already told you in my video about 5 Ways I Know I’m Growing Up and I mentioned I like Bingo. Yes. Yes I do. They have a LOT of different bingo rooms so if you get tired of playing the traditional version of bingo, you can go and play totally new variations of Bingo that aren’t totally even bingo anymore but are still in the similar format. Confused? You’ll understand what I mean when you play this game. I usually play it on my iPad because the screen is bigger but they do have an Android version as well. 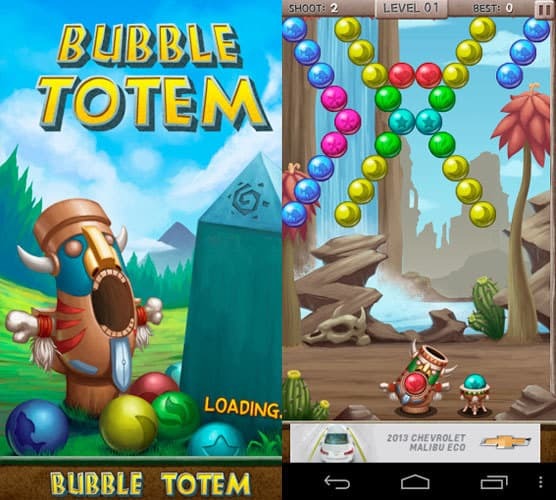 Do you play any games on your smartphone or computer? What’s your favorite game of the moment? I don’t really have any games on my iPhone, but when I first got an iPod Touch right before I started college, I looooooved Tap Tap Revenge. I could seriously spend all day playing that game! I also passed many a 30-minute stat bike session in college with MetaSquares and Flood It. MUCH better than doing the homework I intended to do while working out! Haha. Downloading NOW! 🙂 You should try Candy Crush though, it’s prettyyy awesome. I was on the train last night going to work and some dude walked in and he was playing the game on full volume. I think being obnoxiously loud while playing was his way of showing how cool he was… and his love for the game? LOL Random thought. Haha I love random thoughts! Candy crush is ruining my life!! I’m sucked in, and I refuse to do that thing where you invite people to get more lives, so I’m always having to wait for lives, which I guess is a blessing in disguise, because if it didn’t cut me off, I would have a serious problem. Okay, now I’m a little embarrassed… 😉 I also love words with friends. Mostly because I win. Good list, I often play Bubbles and Hill Rider, mostly don’t have time for it.